Forty years after the Zhongli Incident, former DPP chairman Hsu Hsin-liang revisits Taiwan's first step towards democracy. This article originally appeared in The Reporter, and is translated under a creative commons license and with the publishers permission. On November 19, 1977, two days before election day, a candidate running for Taoyuan county magistrate concluded a press conference. That candidate was Hsu Hsin-liang (許信良), who was then escorted down the street by a crowd amidst the deafening sound of firecrackers. That night, when this disciple of evil was campaigning on the street, Lee Huan took his staff out for a late night meal. As they walked a growing sense of panic emerged. The smell of smoke and gunpowder filled the air, and the streets were filled with people up to their knees in a sea of of red firecracker wrappings. Lee Huan remained silent, his expression grave. Though the party’s power was waning, they still had a final trick up their sleeves. When additional seats were added to the Legislative Yuan in 1975, the leader of the Yilan tangwai (meaning “outside the KMT party”) faction Kuo Yu-hsin (郭雨新) ran for a seat. He had a massive amount of momentum going into the election, but on election day a large number of votes cast for him were declared invalid. Even the iron-wiled Kuo was no match for electoral fraud, and he eventually left his homeland and passed away overseas. Two years later in the Taoyuan county magistrate election, the party attempted to rig the vote again with completely different results. In this case, one of the vote tamperers was caught red-handed by the people. Inaction by the police resulted in widespread anger in what became known as the “Zhongli Incident”, in which the people burned down the police station. Despite the numerous military villages in Taoyuan being Kuomintang strongholds as well as continued vote rigging, Hsu Hsin-liang still won the election, defeating the Kuomintang candidate Ou Hsian-yu (歐憲瑜) by over 100,000 votes. Returning to the site of the Zhongli Incident, Hsu walks us through the events that transpired four decades ago. “Even though the votes were rigged, I still found a way to win,” Hsu said excitedly while gesturing enthusiastically, “I was full of confidence.” Now 76 years old and bald, his skin is smooth and wrinkle-free like a peeled boiled egg. You don’t need to ask to know his anti-aging secret. When we talk about politics, elections and ideals, Hsu immediately springs to life. Hsu Hsin-liang was a rising star in the party before he left, joining the party in his freshman year at Chengchi Party School, where he studied politics. At 26, he was awarded the Dr. Sun Yat-sen Scholarship to study in a master’s program in England, and after two years he returned home to work at the KMT Central Headquarters. There, he met Chang Chun-hung (張俊宏) and their discussions over coffee led to the publishing of “An Analysis of the Strength of Taiwanese Society” (台灣社會力分析) in University Magazine (大學雜誌). The manuscript reached a wide audience, with Chiang Ching-kuo (蔣經國) even requesting that the party caucus conduct a detailed study. At 32 years old, through Lee Huan’s nomination and with the blessing of party elders, Hsu Hsin-liang was elected to the Provincial Assembly. In order to coincide with the 1977 local elections, Hsu’s four-year term in the Provincial Assembly was extended to five. In the final year of his term, Hsu says “I showed my face more, and also wrote The Sound of Wind and Rain (風雨之聲) which reflected on my governing philosophy over the previous four years.” The bad seed hiding underneath the skin of a loyal party member was thus revealed, and not only was the sabotage made clear but also done on the public record. After the book’s publication, the KMT representatives in the Provincial Assembly launched a campaign against Hsu, calling him a “whore.” But it was this campaign that put Hsu on the front pages in newspapers, and made The Sound of Wind and Rain a best-seller with the number of pirated copies in the hundreds of thousands. In 1977, 25 year-old Zhongli local Chang Fu-chung (張富忠) had just graduated from the National Taiwan University of the Arts. In the legislative elections two years prior, to demonstrate the absurdity of these elections to his friends, he had “used my [his] sister’s identity to vote, which turns out was okay!” Chang Fu-chung joined Hsu’s campaign through Hsu’s nephew and helped to design campaign posters. Other now-famous tangwai figures such as Lin Cheng-chieh (林正杰), Ho Duan-fan (賀端藩) and Fan Sun-lu (范巽綠) had worked in Kuo Yu-hsin’s earlier campaign. They were not successful against the rigged vote, but reemerged to join Hsu’s campaign two years later, like flickering embers re-ignited by a spring wind. When these 20 somethings came to Zhongli, they pitched tents and cooked communal meals as if attracting new students at a university. These youths felt that the campaign should feel carefree and happy like a carnival, and hit it off with Hsu right off the bat. Hsu enlisted his farmer relatives to erect a shack on an empty plot of land for their election headquarters; it was cheap but also had a fresh feeling to it. Balloons floated in the air, doves flew toward the horizon, and the first campaign song in Taiwanese history was born there. In November, the time is right; everyone come and vote for our man. Our happiness will be long, and we feel light-hearted! Elect him as country magistrate and there is hope. Hsu knew that a concise but powerful slogan trumps lengthy political commentary. He adopted the American-style single sentence slogan, whereas the promotional materials of his opponent Ou Hsian-yu totaled up to one kilogram in weight, each listing twenty or so political views and every page packed full with small print. The campaign had a rough start. The KMT’s electoral apparatus was ubiquitous, and they put a plan in motion for Wang Sheng (王昇), the director of the military’s Division of Political Warfare, to summon thousands of reserve soldiers to listen to speeches criticizing Hsu Hsin-liang. Dismayed, the young campaign workers asked Hsu what they should do. When Hsu was a child he knew the stories from Romance of the Three Kingdoms like the back of his hand. Later when he studied politics abroad, he freely mixed Western political theory with military strategy from the Three Kingdoms, like a general leading an army while also a counsellor devising strategy. In the early days of his election campaign, he spent half a year driving Chang Fu-chong, Lin Cheng-chieh and other young colleagues to the countryside to distribute literature. To surround the city with country was one of Hsu Hsin-liang’s strategies. In the martial law era, Hsu could not emphasize the difficulties of running a campaign against the KMT, so the tone of his campaign had to be one of levity rather than terror. Furthermore, business owners in the city feared trouble from the law, and were less willing to express support for Hsu; on the other hand, those in the countryside were more straightforward, and once they made a decision, they made sure they would follow through to the end. Hsu needed their passion to melt the icy oppression of martial law. After Hsu established a campaign headquarters in Zhongli’s city center, farmers would put down their sickles every day to visit. They even visited during the busy second crop harvest in November. Upon seeing crowds of people gathering every day, the more timid city people would quickly spread the news and a desire to get in on the action would draw more over to watch. Every day, to boost their campaign’s popularity, they would cook two large communal meals consisting of vegetables, stewed pork on rice (控肉飯), braised bamboo shoots (滷筍絲), and salted vegetable and pork soup (鹹菜豬肉湯). To Hsu Hsin-liang, who lacked major sources of funding, this method was economical as the rice, fish, meat, and vegetables were donated by farmers and the passionate stall vendors at the Zhongli market. Hsu himself would go out to campaign until late at night. In this way, he found a variety of characters to speak at his campaign events, from young girls to grandmothers to the prominent tangwai figure Huang Yu-chiao (黃玉嬌) who had suffered defeat at every turn in prior decades. He built his popularity up bit-by-bit, bantering well with ordinary people and often finding himself quickly surrounded by listeners. A conservative district such as Zhongli which had historically been cold toward politics was boiling like oil in a deep fryer. In the three days leading up to the election, Hsu focused his efforts on preventing vote-rigging. Chang Fu-chong wrote banners in calligraphy reading: “only the Communist party rigs votes!” But Hsu was thorough, and wanted more than just a slogan. Three months in advance of the election, he had already found distant relatives to help him train a force of poll-watchers. Taoyuan had 369 polling sites in total, and each had to have three poll watchers, which meant he needed over a thousand in total. Kuo Yu-hsin’s campaign from two years ago had a similar plan to catch vote rigging, but one of his poll watchers Chiou I-jen (邱義仁) had been roughed up in the process. This time, Hsu would dispatch three people instead of one. How could the few fight the many? The key to victory was to have more eyes watching. Amongst them was a pair belonging to dentist Chiou I-pin (邱奕彬). On November 19, he was at Zhongli Elementary School waiting to cast his vote when he saw poll worker and school principal Fanchiang Hsin-lin (范姜新林) walk into the ballot storage room and destroy ballots that had been filled out by two elderly people. Fanchiang was taken to the Zhongli Police Station across the street by the crowd, with Chiou I-pin accompanying to serve as a witness, but the investigator did not interrogate him and let him go back to the polling station to continue to work. As news of more vote rigging poured in from all over, public anger grew. Unlike two years ago, people dared to step forward. The news that Fanchiang had been let go that morning had already spread far and wide. At two in the afternoon, Fanchiang did the same thing again and was caught yet again. The policemen who were called over formed a protective circle around Fanchiang, who then hid away in the station. Outraged ensued. Not long after, a large crowd gathered outside of the Zhongli Police Station. Campaign staffers such as Lin Cheng-chieh were called to the scene to try to assuage the crowd, but all of the loudspeakers in the station were broken and could not be used. It was a coincidence, but also a historic opportunity. When Chang Fu-chong arrived at the Zhongli Police Station, the crowd had just started to throw rocks. As if it were hailing stones, the windows of the station shattered one-by-one until none were left. “I went inside the station and saw that the police officers were like stray dogs, gathering their things to quietly slip out through the back door.” Chang Fu-chong returned to the campaign headquarters and was warned not to return to the scene to avoid further complications. In the end, he couldn’t help himself and took his camera back out to take photographs. From the the building across from the station, he made the only visual records of the Zhongli Incident. Through his lens, the crowd looked as dense as an army of ants. Police car after police car were overturned with undersides facing the sky, like the rare sight of black beetles exposing their weak bellies. Later, the police threw a tear gas grenade to disperse the crowd. The crowd broke up but soon came back together. A rumor that a university student had died led people to light police cars on fire. By midnight, the police station itself had burnt down. The afternoon before the incident, Hsu Hsin-liang was riding north in his friend’s car. “Go after the head. There were lots of spies in Zhongli, and if I didn’t leave, I would have immediately been under their control.” On the north-south highway he saw riot control cars coming down from Taipei. They passed each other unknowingly. The night of the incident, all roads to Zhongli were closed. Premier Chiang Ching-kuo was said to have flown over in a helicopter to observe. Older people who still remembered what had happened thirty years ago in the 228 Massacre turned off their lights and pulled down their metal rolling gates early. In the morning, the wild mob just returned back to their homes to sleep. Other than the burned-out police station and rumors that two university students had been killed, it was a day like any other. The suppression that they anticipated did not occur. The repercussions came a month later, but they were not as severe as people expected. The prosecutor charged Chiou I-bin, the vote-rigging witness who stood up for what was right, with “perjury,” and the suspected vote tamperer Fanchiang Hsin-lin was not charged. A year and a month later, Chiou I-bin was sentenced to a year and a half in prison with three years probation. Chiou appealed the decision. The real trap was yet to come. 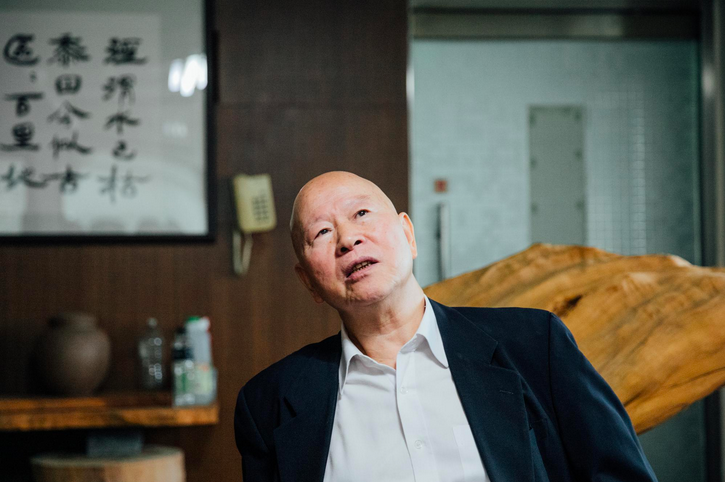 The drumbeat that elected Hsu Hsin-liang in Taoyuan county continued into the 1978 National Assembly and Legislative Yuan elections, and many ambitious candidates threw their hats in the ring. Huang Hsin-chieh (黃信介) and others organized the Tangwai Campaign Group (黨外助選團) to assist with campaigns throughout Taiwan. They worked vigorously, but on December 16, the week before the election was to be held, the United States broke off diplomatic relations with Taiwan and elections were suspended. The real reckoning occurred in 1979 when Chiang Ching-kuo was to be inaugurated president. In the beginning of the year, the tangwai candidate Yu Teng-fa (余登發) and his son were arrested for protesting the suspension of elections. Hsu Hsin-liang extended his support, and because he participated in the Chiaotou Incident (橋頭事件) he was charged with dereliction of duty and his case was referred to the Control Yuan by the provincial government. At the end of June, after only a year and a half of service as the county magistrate, it was announced that Hsu Hsin-liang would be on leave for two years. After such a difficult campaign, he was effectively forced to step down early for failing to show up to work for one day. The Kaohsiung Incident happened at the end of 1979. According to Hsu Hsin-liang, “the people who were arrested in Kaohsiung were for the most part candidates or vice-candidates in 1978.” And as for Chiou I-bin, before his charge of perjury had been resolved and despite him not being in Kaohsiung at the time, he was amongst those arrested in the aftermath. He was imprisoned, a confession was extracted by torture, and in desperation he attempted suicide by biting off his own tongue. “For these two years the Kuomintang had been preparing these tools of suppression.” says Hsu Hsin-liang. This vividly describes the invisible line dividing the eras of martial law and democracy, where the hesitant fists of the people became resolute and the stern expression of police officers turned fearful. Twenty year-old market vendor Wang Pai-ran received his initiation into democracy at Zhongli. During the tangwai movement of the 80s he donated lunch boxes and participated in any way he could. Now in his sixties, the market vendor is the CEO of a construction company. He thinks back to the first movement he joined in his youth, to his good fortune since and the great events that he had lived through.